Relationships matter and for the past 10+ years, Essential Baking Company has baked our luscious sourdough bread. Guests have told me they drive across town just for a slice of oven-warmed sourdough . . . it’s that delectable. Don’t try to duplicate it with another sourdough; this recipe is exclusively Duke’s. I fell in love with sourdough while working in San Francisco and wanted to bring that amazing flavor to our Seattle guests. Together, we perfected the recipe that today is known as Duke’s Double Sourdough. Essential Baking Company is the largest artisan bakery in the city. They bake our Double Sourdough bread fresh every day in their custom hearth-ovens for all seven of our locations. Made with wild yeast and USDA organic ingredients, no meal is complete without our famous Double Sourdough. Simply put, Essential Baking Company has become…well…essential to Duke’s. And in case you didn’t know . 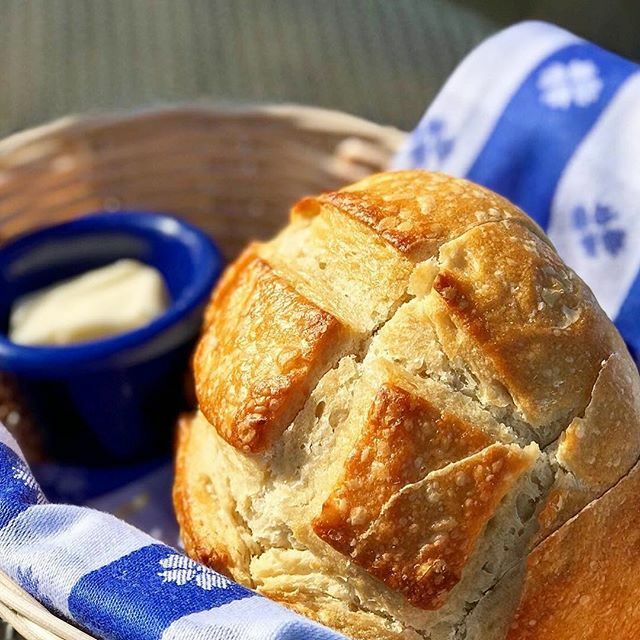 . . every meal at Duke’s starts with a basket of oven-warmed sourdough and fresh, creamy butter. Want to make this at home? Check out the recipe in Duke’s at Home Recipe Series.